One of my first publications as a Brechner Center Fellow was an explanation of how public records laws across the country that were written for paper records were being applied to the new concept of computerized government information. We were embarking on a whole new world of databases, software and digitization, watching records being pulled out of file cabinets and housed on computers and floppy disks. It was an exciting time to observe open government change shape, and I was sure it would mean more efficient access for requesters. Almost 20 years later, I think it has brought a heightened level of transparency, but it is also presenting challenges that will follow us into the next decade. Technology moves so quickly that we are unable to fully parse how it will engage with open government before the next wave arrives. I worry that the rush of technology will push past the reason we do this – so that the governed can see inside government function. We need for the average person, not the legal expert or the technophile, to be able to get the documents or sit in the meetings as allowed by law. With the advent of even newer technologies, I am hoping some of the old-fashioned parts of open government remain. I’m not wishing for halcyon days because there weren’t any. At times, it felt like strong-arming government agencies to follow the law. I just don’t want to lose sight of the individual requester’s importance. There have been huge gains in understanding government function as a result of computerizing records. The value of the ability to analyze large data sets can’t be understated. The convenience of accessing data from home and being able to go through files at will is something we dreamed of when all we had were file cabinets. Computer storage and access is a boon for both sides of the counter. For years, my research has shown that records custodians across the country want more information uploaded to the Internet to save them the time of responding to certain requests. More uploaded government data alleviates the potential for subjective responses from custodians who find the requests nosy, annoying, voluminous, inept, or unnecessary – all reasons my research participants have given for being unwilling to respond to requests. However, computers and databases, while incredibly useful, are not the answer to all that ails open government provisions, and they are not the perfect fix for providing access. I felt a shift this fall in the way requests are being handled. It was subtle, but one worth watching. Every semester I send students out to request records, both to give them the confidence to use open government laws long past their few months in my class, and as a way to apply the law to real life. A byproduct is that, I get to take a cursory look at the way the laws are working. I suspect we are reaching a tipping point in government offices in which more data will be uploaded for public access, but with greater barricades against outsiders. Ideally, new technology would be used to better serve requesters, and to make sure that government is as transparent as possible. My perspective has always been from the lens of the average person trying to figure out what is going on with the people and agencies that govern. I have spent these years since that first publication researching the interactions between records requesters and the government employees who are responsible for granting or denying access in an effort to make sure that individual citizens are served. So it is through this lens that I begin to worry. What about those without computer access? Or people who do not know how to navigate open government online? Are they to be excluded from the democratic function provided by requests on the internet only? When it comes to oversight, how are we to be sure that all documents are uploaded completely and accurately? And we still aren’t sure how government officials are using technology to communicate and whether they are archiving it. Sure, e-mails are relatively easy to archive, but what about Facebook messages, Twitter, Skype, Snapchat? Maybe it is because I became an open government advocate in days of paper documents, that I am skeptical of computerized system in which there is no human interaction. My history with the Brechner Center goes back to my first days as a newspaper reporter. It was a frustrating lesson for me to learn back then that just because the law says you can have access to a document or a meeting, it doesn’t always work that way. I began toting around a printed manual of Florida’s open government laws in my bag. Along with my pen and notebook, I never left the newsroom without it. Even with the law literally at my side, I couldn’t get always get the documents I requested. In our town, the sheriff kept certain police reports in a desk drawer. If you didn’t request them from that location, they were unavailable. Government agencies refused me because our small newspaper did not have the money to fight every argument in court. But I argued with them anyway. I started phoning the Brechner Center for help. (This was before the Brechner Center even had an email address.) I would get guidance, help, even pep talks from the staff at the center, and I would keep trying to get access. And very often, with that team effort, I succeeded. I fear that a firewall of a computer database, with absolutely no chance for discussion, is yet another obstacle for the average person trying to get the documents they need. That concept of getting help when you need it, encouragement to keep fighting for access to government information, is one that has remained a necessity, whether it is by phone call back in my day, or by email now. And no matter what form open government takes, I think that citizens will always need that. I applaud standardized responses that ensure we all get what the law says we should. But what we also need to protect is the average requester who is not well-versed in the law or technology – ensuring that open government remains accessible to all. 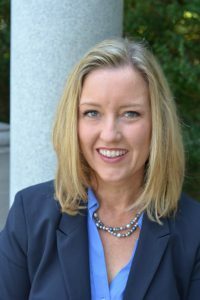 Shelley Kimball, Ph.D., teaches media law at The George Washington University and the University of Florida. Her research area remains access to government information. She was a Brechner Fellow in the late 1990s while working on her master’s degree and Ph.D. She returned about 10 years later to work as a visiting scholar. Her career, from newspaper reporter to academic, has been enriched by her support from and work with the Brechner Center.